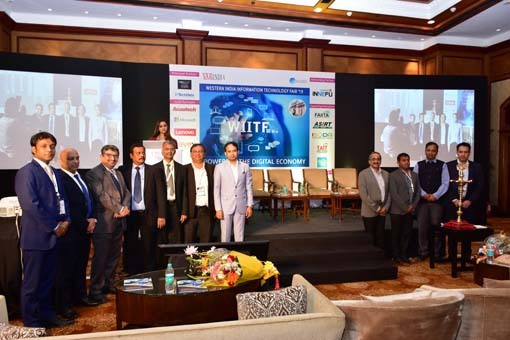 The IT Capital of India, Bengaluru, recently witnessed the Fifth Southern India Information Technology Fair (SIITF) – 2014 (Tech Summit) organized by VARINDIA in the midst of CEOs from IT companies, educationists, heads of top IT associations, VARs and SMEs, as well as government dignitaries from the ICT sector. Themed "Best Practices for High Performing Partner Ecosystem", the event aimed to discuss and showcase excellence in technology innovation and entrepreneurship, while it also acted as a torchbearer for VARs from the southern region of the country by highlighting some of the major challenges they face in the competitive area of sales and services. 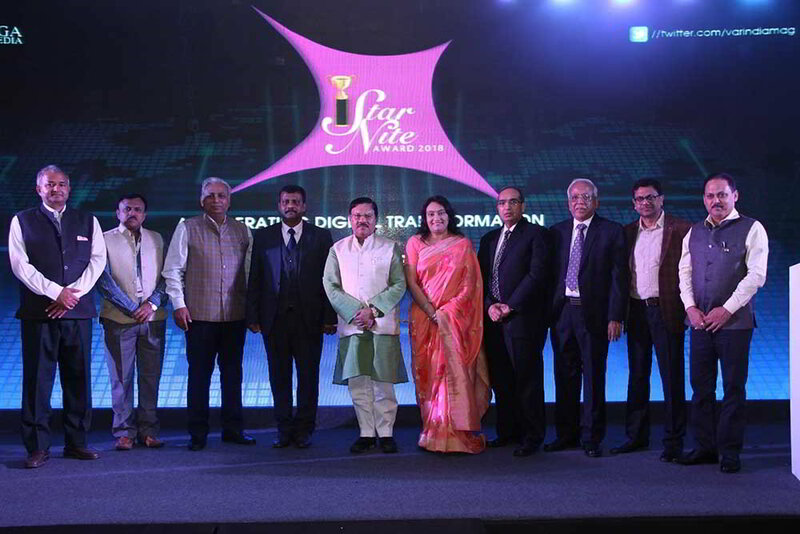 The event commenced with the lighting of the ceremonial lamp and was graced by eminent guests includes Prof H. S. Jamadagni, IISC, Bangalore; Shri A. Gururaj, Managing Director, Vittal Innovation City; Cmde J. Jena, Director, TCOE India; Mr K. Bhaskhar, Senior Director, Office Imaging Solutions Division, Canon India; Mr Anil Sethi, Director & General Manager – Channels, Dell India; Mr Nalin Patel, Vice-President, SIITA; Mr Anantharam Varayur, ECM, SIITA & ECM-FITDAK; and Mr M. A. Sathya Prasad, President, AIT. Cmde J. Jena, Director, TCOE, shared his experiences with the audience in the area of skill development and how it can through proper training and development help in giving birth to new talent, which will eventually promote manufacturing in the country and making it a major hub for manufacturing. Enlightening the audience on the prospective of electronic manufacturing in the country, Shri A. Gururaj, Managing Director, Vittal Innovation City, said how it is important for India to promote electronics manufacturing and this should be a priority agenda for the government, come what may. But it was Prof H. S. Jamadagni, IISC, Bangalore, who stole the show by amusing the audience with his antics and speaking on the rise in urbanization and smart city . He also cited some examples of how urbanization is taking a heavy toll on the teeming population of the country, particularly that of Bengaluru city and the role IT can play in containing this menace. From the corporates, Canon and Dell actively participated in the discussions by showcasing their technology areas and discussing their market strategies. Mr K. Bhaskhar, Senior Director, Office Imaging Solutions Division, Canon India, spoke largely on digitization and how Canon as a digital company has been steadily playing a role in making digitalization a dream come true for its customers. Mr Anil Sethi, Director & General Manager – Channels, Dell India, briefed the audience on Dell’s mantra of success and about its transition to a complete end-to-end solution company. The Panel discussion was moderated by Mr Deepak Kumar Sahu, CMD & Publisher, Kalinga Digital Media, and deliberated on the issues relating to the challenges faced by the traditional channel partners in the market from the e-commerce companies and how corporates can help them to drive business and maintain a competitive edge in today’s rapidly-evolving market. The panelists included Mr M. A. Sathya Prasad, President, AIT; Mr Anand Rao, President, FITDAK; Mr Nalin Patel, Vice-President, SIITA; Mr Anantharam Varayur, ECM, SIITA & ECM-FITDAK; Mr Murali Krishnan, Managing Director, N J Dataprint; and Mr K. Bhaskhar, Senior Director, Office Imaging Solutions Division, Canon India. The event also took the opportunity to felicitate the Channel community from the Southern region in different categories. 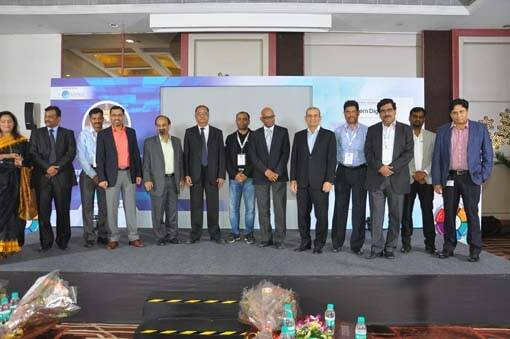 The resellers, distributors ,VAD and system integrators recognized were Vanpac Systems, Supreme Computers, Inspira Technologies, Value Point Systems, Redington India and Webcom Information Technology. There was also a lucky draw at the end of the event where four lucky winners walked away with two Canon scanners, a Dell tablet and a Wi-Fi device from Pronto Networks.